But we'll likely end up wearing anyway. 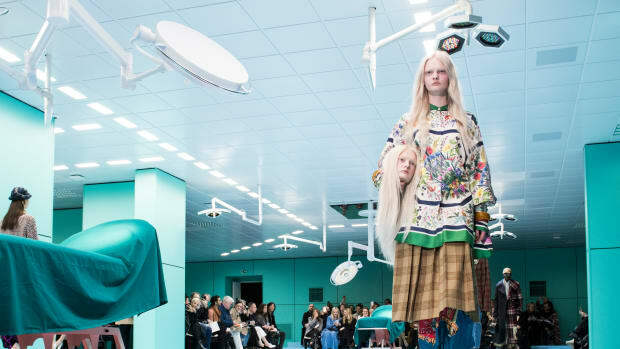 If you&apos;ve been listening to our previous podcast episodes, you&apos;ve heard our very own Tyler share her conspiracy theory about how Demna Gvasalia-for-Balenciaga is a performance art piece. 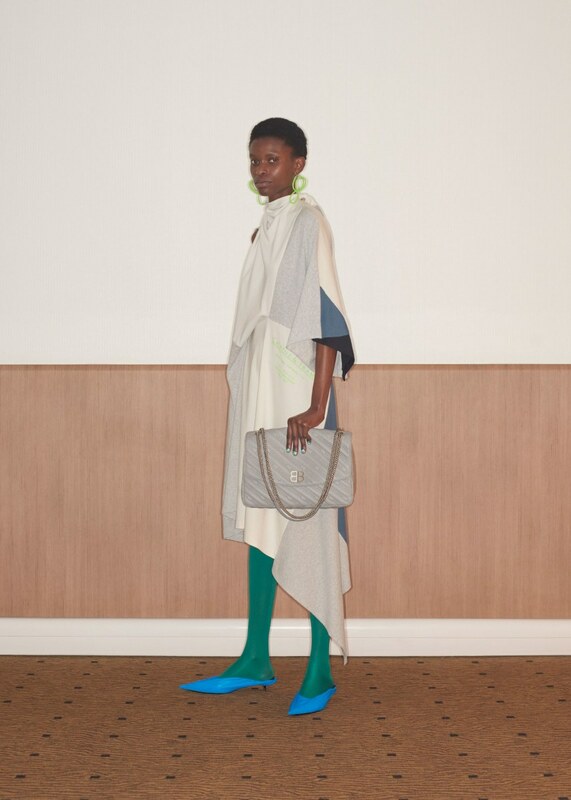 With every collection, the Georgian designer has somehow given high-fashion makeovers to the most absurd or unexpected items (see: platform Crocs, "Bern-lanciaga," supermarket bags, Ikea totes and a feather boa that you can find for under $15 at your local arts-and-crafts store). Our initial reaction is usually disbelief, maybe a little mockery, but after a few months, we&apos;re dressed in exactly what we were buzzing about — or, at least, those who can actually afford to wear it are. 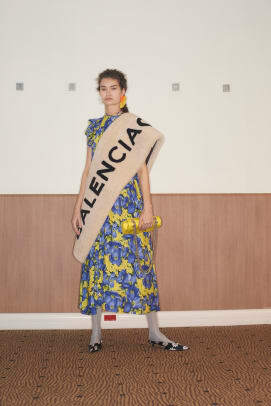 With Balenciaga&apos;s Resort 2018 collection, released on Wednesday, Gvasalia has presented a hodgepodge of trend-worthy items that we definitely did not ask for. Read on to find out what we&apos;ll all end up wearing anyway. This &apos;90s and &apos;00s hair accessory&apos;s comeback has been a topic of conversation at the Fashionista office for some time now, and we&apos;re still on the fence on whether or not we&apos;re here for it. But perhaps the high-end approval from a major fashion house like Balenciaga might just convince us to reintroduce our scrunchies stock from our teenage years. It&apos;s time to revive your Pinterest board of nail art ideas from 2012. Gvasalia has been toying with the manicure trend for a few seasons now — remember the pierced nails look? — and it&apos;s still going strong. Find us at Paintbox or Chillhouse tonight. 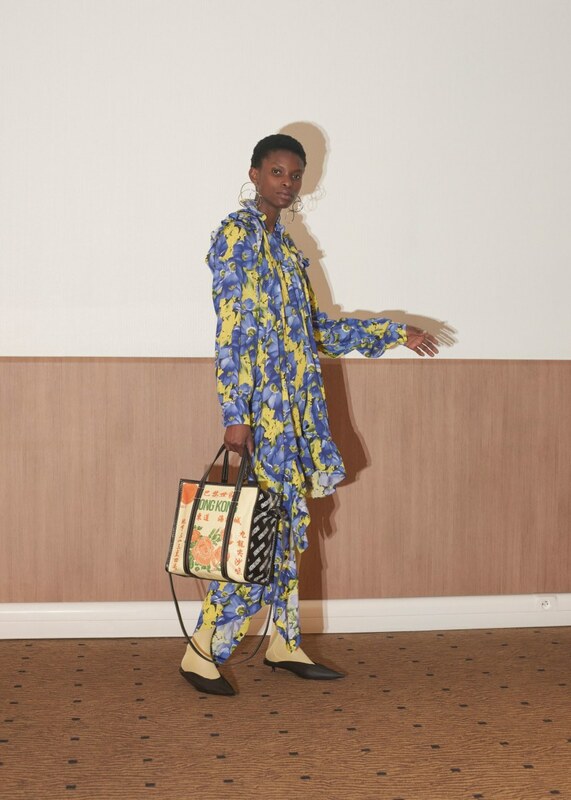 Just when we were getting used to Gvasalia&apos;s bold, bright spandex leggings from Spring 2017, he has decided to one-up his designs with garish motifs and patterns, like the floral-meets-animal print mashup you see above. 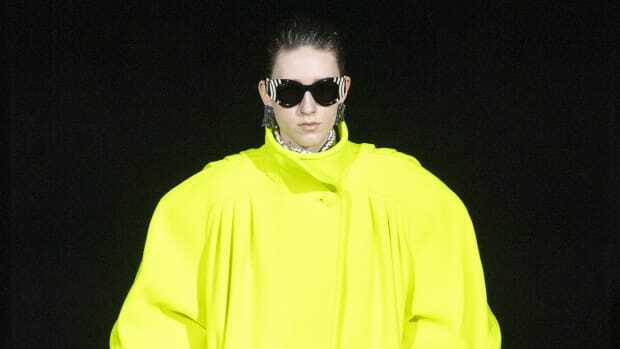 We wonder who will dare to wear these during the street style roundups come next fashion month. Dainty jewelry just won&apos;t do anymore. Go with the biggest baubles you can find for your next stacked-rings look. Oh, you&apos;re excited that it&apos;s tights season? Well, I&apos;ll see your trusty opaque black tights and raise you with a pair that comes in neon pink, ya n00b. "I went to [insert far-flung location here] because my bag says so." Instagram geo-tags aren&apos;t enough to show how well-traveled you are. (Maybe you should make a pit stop at the airport gift shop, after all.) This is also proof that #merch is a trend that will live forever and just keep evolving and literally take over everyone&apos;s entire wardrobe until we die. 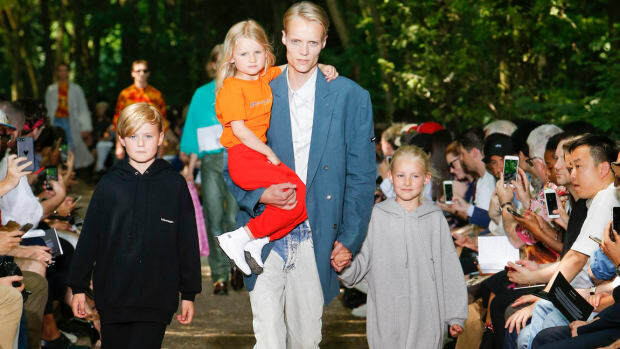 See Balenciaga&apos;s entire Resort 2018 collection in the gallery below. 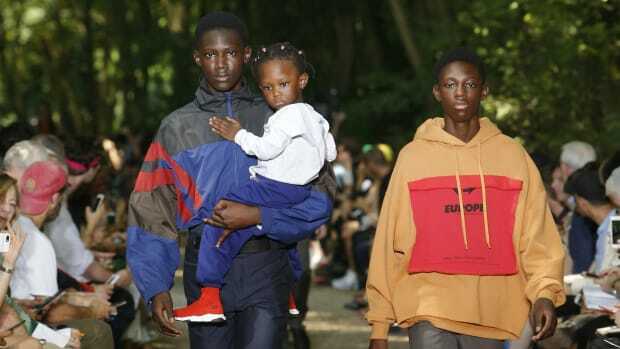 It was literally inspired by "young dads in the park with their kids on the weekend." So nice of the local Kodak Kiosk to lend Demna Gvasalia its space.